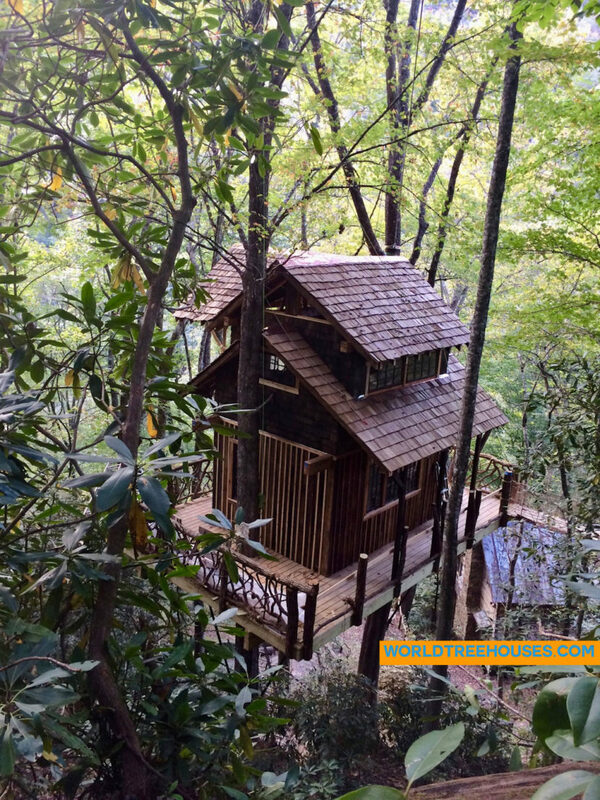 Our WNC tree house builders working high above the other structures on the property, our team works to install mountain laurel railings and siding on our Panthertown treehouse project in the mountains of western North Carolina. Click the link for more photos. Working high above the other structures on the property, our team works to install mountain laurel railings and siding on our Panthertown treehouse project in the mountains of western North Carolina. Click the link for more photos.